This beautiful old farmhouse - called College Mas - is isolated, surrounded by vineyards, olive groves and fields. It is built in stone and was completely renovated in 2005 in a contemporary style, furnished sober and design. This is the ideal place to escape everyday while being close to many activities. Beautiful private pool. The four double bedrooms each have their own bathroom and the kitchen has a large table and a fireplace. You can also dine on the terrace, under a tree or by the pool. Although on the vineyard, the farmhouse is far - out of sight and voice - of the castle where the owners live. The Althoff family produces high quality organic wines with no added sulphites. Séjour au calme parfait ! Très bon séjour dans cet villa avec nos amis, nous avons été très bien reçu (bouteilles du domaines offertes !) par la famille de Costes Cirgues ! Les siestes au bord de la piscine nous manque déjà ..
Nous avons déjà souvent loué des gites, mais n'étions encore jamais tombés sur un endroit aussi magique. C'est beau, solitaire, et pourtant on n'est pas loin du village ni de la mer (compter 25 min en voiture). Un mas avec beaucoup de classe situé dans un vaste domaine vinicole. Un accueil chaleureux. Nous étions 2 couples + 3 enfants. Tout le monde a profité pleinement. Nous y retournerons certainement pour d'autres vacances. A recommander. The College is in the middle of Mas area Costes-Cirgues. Location: between Nimes and Montpellier, 30 km from the Mediterranean, rooted to its hill: that Costes-Cirgues! 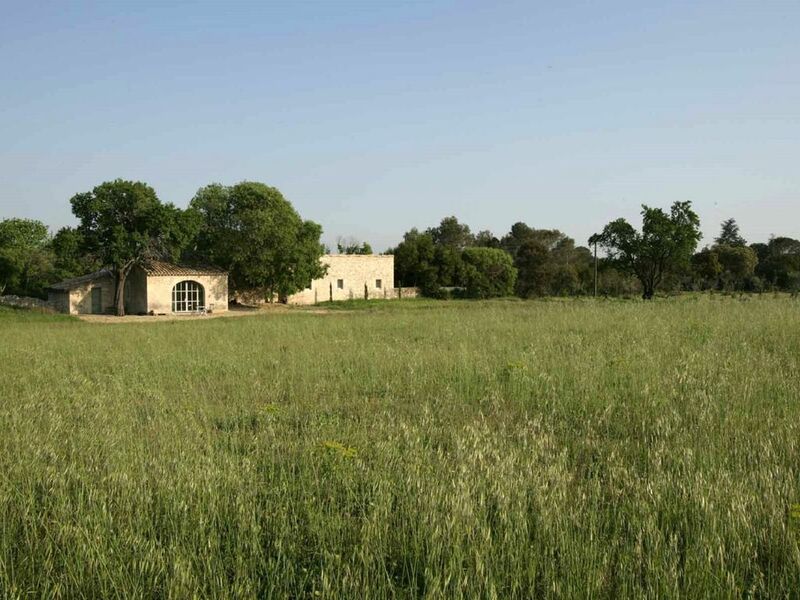 60 hectares of vineyards, olive groves, forests, fields and scrubland! Sommières, beautiful medieval city, is one mile.